I am picturing heart shaped strawberry slices on top of this mini berry tarts for Valentine's Day. 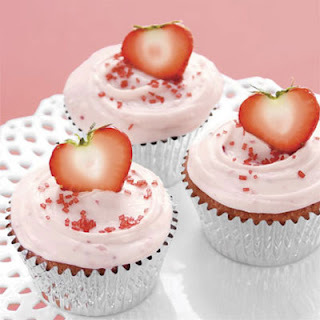 Something like these Valentine's cupcakes. With a premade tart shell it would be a simple and yummy Valentine's dessert. 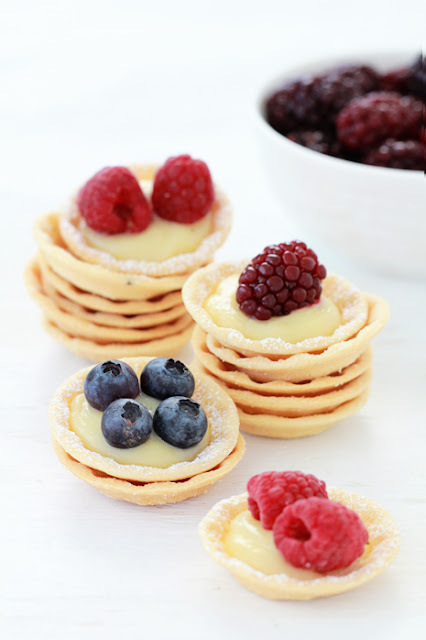 You can get the mini berry tart recipe over at Bakers Royale.